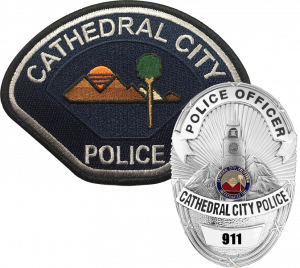 Cathedral City Police Department Reserve Officers work a variety of details such as Patrol, Gang Suppression, DUI Checkpoints and assist Investigator, just to name a few. With all these options, you are assured of a job that is always new and exciting with room to grow. And at the same time, you can keep the job you already have. If your idea of real police work is just hitting the streets, then Patrol is the place for you. You will be right in the middle of the action. If you choose, you can work with an officer who has a specialty assignment such as K-9, DUI enforcement, or the Neighborhood Improvement Teams which target specific problem areas. We also work with organizations such as the Boys and Girls Club and Field of Dreams to host a variety of events from Bicycle Safety Rodeos for kids to national sports competitions. Maybe you just feel that you want to give something back to the community. Whatever your reasons, and if you have always wondered what it would be like, we have the job for you! A Police Reserve Officer is a peace officer as defined in the California Penal Code, section 832.6, and is a vital and integral link in the operational structure of the Police Department. If you feel up to the challenge please contact Sgt. Corwin Deveas (760) 770-0300 ext. 751 for more information.